Property 2: The Cabin At Killington: Left Unit - Close To Everything! Great Ski Home For 12. Property 4: Cozy, private cabin near skiing with foosball and pool table! Property 6: Charming waterfront cottage on Echo Lake - 2 dogs welcome! Property 9: Feel at Home in The Little Red Cabin! Less than 15 min. to Everything Vermont! Property 11: Cozy Hideaway near Ludlow/Okemo. HOT TUB!! Property 15: Cabin in the Orchard near Silver Lake * Ask about a Back to School Discount! Property 16: Cottage across street from the lake w/60-ft water frontage access, private dock! Property 20: Cozy Family-friendly Log Cabin With 25ft Interior Fireplace + Modern Amenities. Property 24: Ski, Snowmobile, Cross Country Ski or Snowshoe -Quiet cozy cabin has it all! 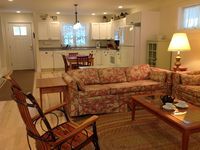 Property 25: Unique Lodging Option for the Discerning Traveler in Beautiful Brandon, VT.
Property 34: NEW LISTING! Cozy Log Cabin, Close to Activities and Private, Nature is best RX! Property 37: A true Vermont getaway amidst the green mountain national forest. Property 39: 20 sugarhouse lane, Private Vermont escape!! Property 41: All Season Three Level Log Vacation Home On 21 Acres Between Okemo & Killington! 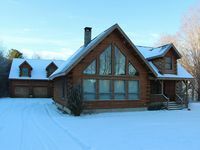 Property 44: Spacious Log Home, 5 bedrooms, sleeps 16! Near Okemo, Killington, Woodstock!! !